Amy is in the house ! 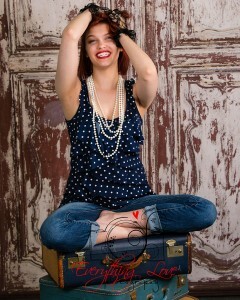 We had a young lady in the studio today for her High School senior pictures. She brought her mom and one of her sisters. We all enjoyed the session, listening to music, picking out backdrops, props, different clothes, shoes, and more. We started with a tribute to Marilyn Monroe and then moved on to other looks.